Ah, coffee! For those who love it (aka millions of us) even the aroma of fresh ground beans can lift the mood and entice the spirit. For some it’s a necessary part of the morning ritual. For others it’s enjoyed all day long. Coffee is loved and celebrated throughout the world. 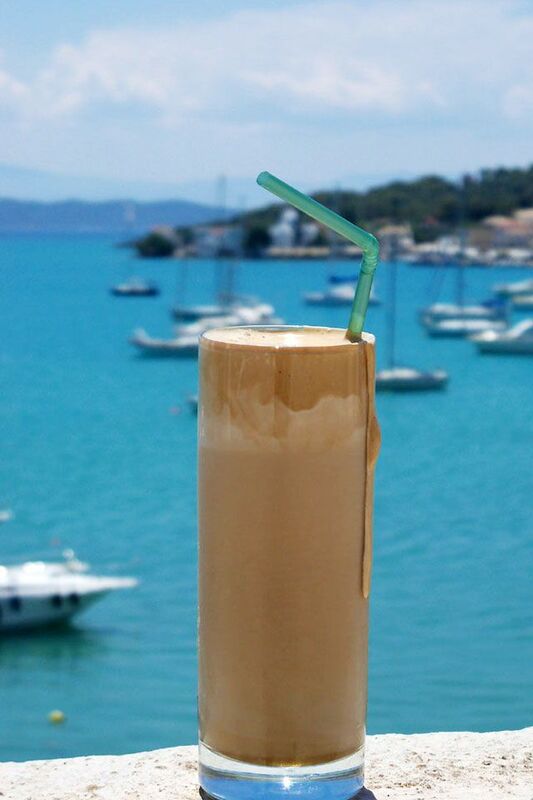 On the beaches and cafes of Greece, summer is not summer without the ubiquitous Frappe. It’s a standard part of the Mediterranean Diet. The question is, is it healthy? The answer is yes! Scientists at the Harvard School of Public Health in this 2015 article found that total mortality as well as mortality specifically associated with cardiovascular disease, neurologic disease and suicide was decreased in those who drank 1-5 cups of coffee a day regardless of whether it was caffeinated. Live longer with coffee! Let’s rejoice! But wait. Don’t just go out and order three venti iced caramel frapuccinos with extra whipped cream. Coffee in its natural state, unadorned with sugars and creamers and thickeners, is rich in antioxidants. Careful caution must be exercised, however, if your idea of coffee mimics dessert. High glycemic index sweeteners and saturated fats still pose the same cardiovascular disease risks whether they’re mixed in with coffee or eaten alone. Put about an inch of water into a glass, then add the sugar and instant coffee. Froth it up using an immersion frother (like the one below) until the foam is thick and 3/4 of the way up the glass. This may take about a minute. Next add ice cubes, milk, and top it off with water until the glass is full or the foam is about to overflow. Throw in a (reusable) straw and enjoy!